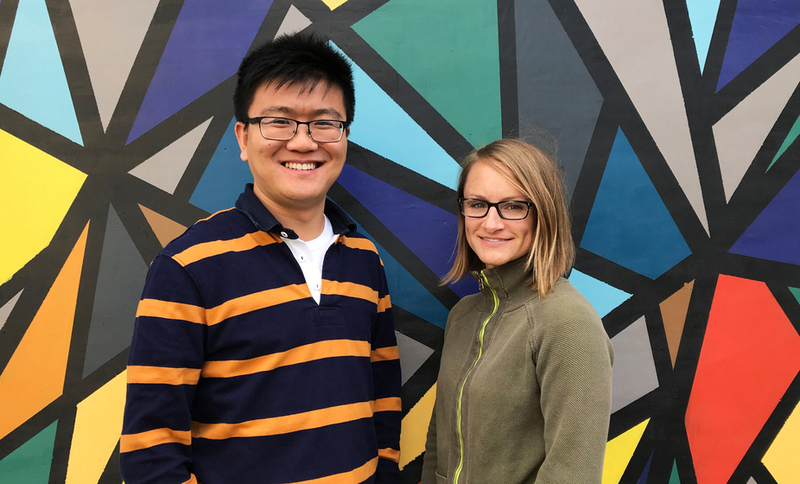 Pushing our projects and clients further, we’re excited to announce the latest promotions of Amy Leedham and Te Qi to Senior Environmental Designers. Whether it’s developing innovative water reuse strategies or testing challenging energy analysis measures, these two are determined to deliver smart and efficient projects for our clients. Amy Leedham is a LEED AP with Neighborhood Development specialty and a member of the National AIA COTE’s 2030 Commitment Working Group. She combines her expertise in building physics and architecture to foster communication between the design team and technical consultants. She is a project manager on the UC Merced 2020 project, the Candlestick Point development in San Francisco, and the new San Mateo County Office Building. Te Qi is an expert in Energy Analysis and the chair of the San Francisco Chapter of the International Building Performance Simulation Association (IBPSA). He has a comprehensive knowledge of complex building systems optimization, HVAC controls and systems selection, and post-occupancy measurement and verification. He has worked on high-performance buildings ranging from the LEED Gold targeted Nvidia headquarters to the state-of-the-art UCSF Weill Neuroscience Institute.